Your desk is more than just a thing to rest paperwork on, it says a lot about you to anyone who cares to visit, and choosing a suitable one can help you organise and manage the work that lands on it. Chosen well, a good desk will last longer than a cheap one, so why cut quality just to save money? 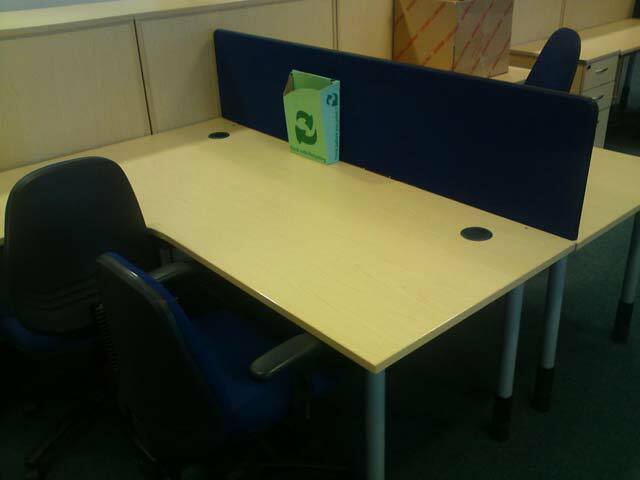 With a reposssessed or previously owned desk from W&M Solutions you can have top quality and low price as well. From entry level to high specification, our office desks are available in many designs that will fit into any office. Most desks are available with different leg styles: 'H' style, single or double cantilever, radial, or in a modern panel end design and most desks feature cable access ports and full cable management (if required) for easy installation of computer cables. But best of all, our range of office desks can be seamlessly combined with the rest of our office furniture from pedestals, seating, screens and additional storage units.